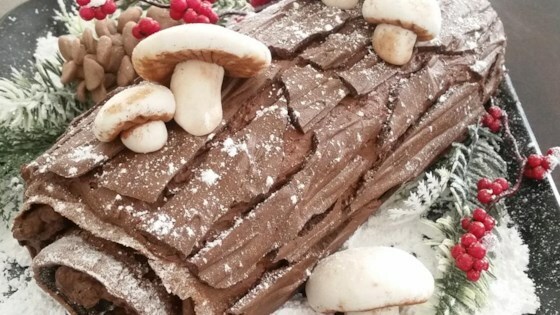 "Buche de Noel is the French name for a Christmas cake shaped like a log. This one is a heavenly flourless chocolate cake rolled with chocolate whipped cream. Traditionally, Buche de Noel is decorated with confectioners' sugar to resemble snow on a Yule log."